Cheez-its are on my top 3 snack list. Thanks to my boyfriend for discovering the many flavors to choose from. Our number one flavor: Cheddar Jack. 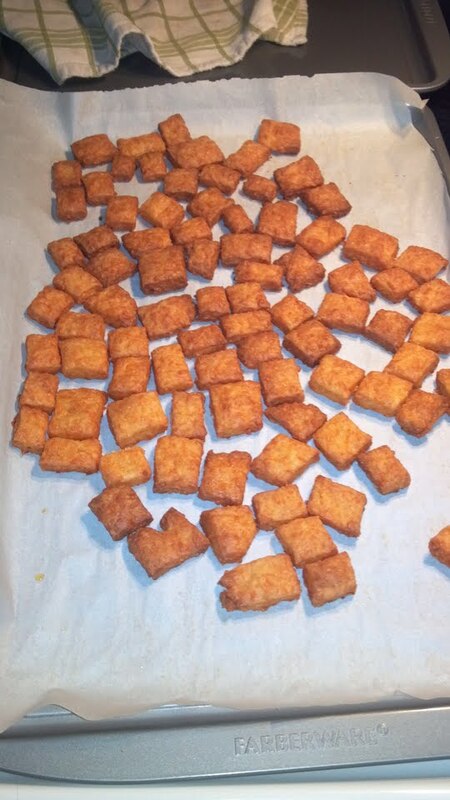 While browsing blogs online one day, munching on cheez-its of course, I came across a recipe for Homemade cheez-its at New Nostalgia. They looked delicious and I immediately put the few ingredients I needed onto the grocery list. 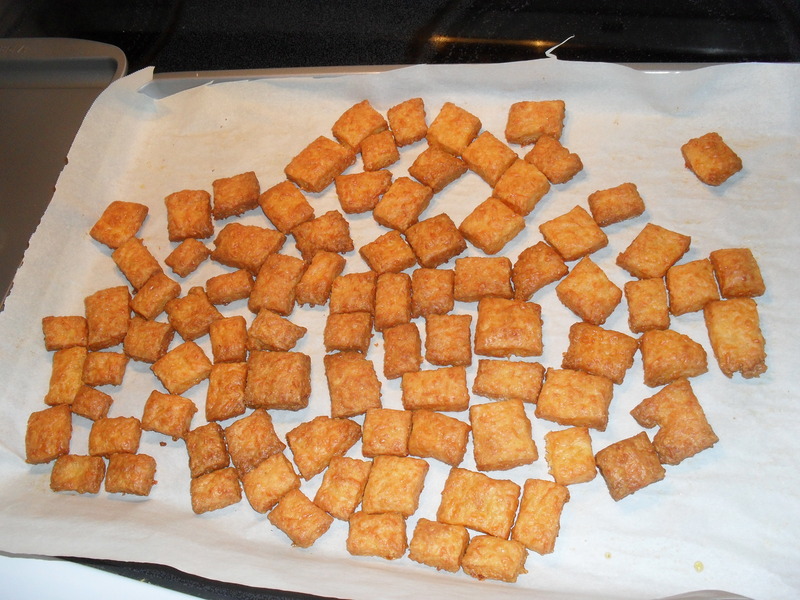 I wanted to make these as a surprise for Derek, so I cooked them before he got home from work one day. It was very easy and I did end up chilling mine in the fridge. I think I added just a little too much cayenne pepper because they were hot! So if your taste-buds do not like spiciness, then use very little cayenne pepper, just a pinch. This recipe would be most equivalent to the Cheddar Jack flavor of Cheez-its. I am craving to make them again soon. I think they are the perfect winter snack to munch on! 2. Combine all ingredients in bowl and using your mixer on medium speed, mix until crumbly. 3. Add cold water, a tablespoon at a time, until dough comes together. 5. Place dough between two pieces of plastic wrap or parchment paper, and roll out to 1/8 inch thickness. 6. Transfer to parchment-lined baking sheet, and using pizza cutter, cut into 1 inch squares. 7. Sprinkle with salt and bake for 25 minutes. 8. Test for crispiness; crackers may take a few minutes more to finish crisping. 9. Remove from oven when crisp and just starting to brown. These were pretty darn good Cheez-Its. Thanks for the shout out, Babe!